Last modified on December 31st, 2018 by Vincy. 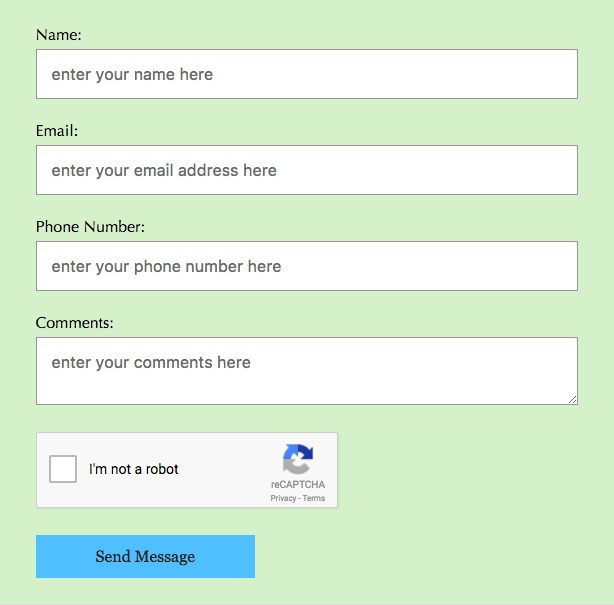 Contact form with captcha code validation may be useful to validate a human user against bots. In a previous tutorial, we have seen how to add captcha code in a form using PHP. In this tutorial, we are going to integrate the Google reCAPTCHA in PHP contact form. Using this Google reCAPTCHA code, we can validate the human users and protect the form submission from bots. In this example, I have autoloaded the dependencies of the Google reCAPTCHA code library. For using this library, we need to get the API keys by registering our site. If you want to know how to to get the reCaptcha API keys, then the steps that we have discussed in a previous article will be helpful. After getting the API keys, I configured these keys to integrate Google reCAPTCHA code. 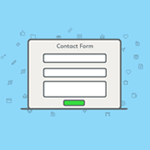 In the contact form, the captcha code is shown and on the form submit this code is validated. When the user resolves the reCAPTCHA code, then the response token will be returned. A new HTML element g-recaptcha-response will be dynamically created to store the user’s response token. This token will then be posted to the PHP code while submitting the contact form. title="Please enter your name" class="required"
placeholder="enter your email address here"
title="Please enter your email address"
placeholder="enter your phone number here"
title="Please enter your phone number"
This PHP code reads google reCAPTCHA response token posted via the contact form. Then, it sends request to the API with this response token and the API secret key. After validating this token, the API will return JSON response. The following screeenshot shows the Google reCAPTCHA widget rendered with the PHP contact form.